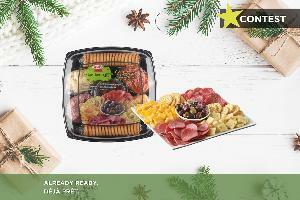 Prize: 25 lucky winners will win two FREE HORMEL GATHERINGS® Deli Tray to enjoy at their Holiday parties. What you must do to enter: LIKE their page and tell us who you’re most excited to see this holiday season. Statistics: This contest was opened by 60 and entered by 6 ContestChest.com members. 10% of those who opened the contest, entered it.